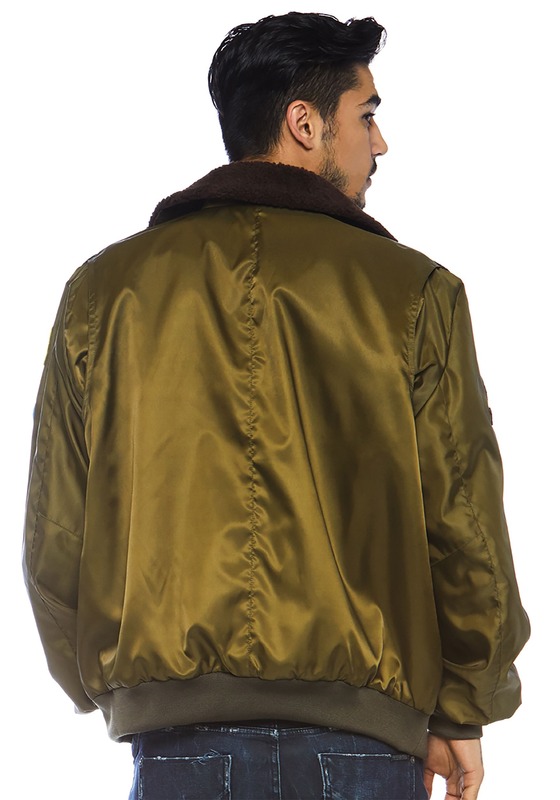 This licensed Top Gun Bomber jacket makes you look like an ace pilot who’s relaxing on furlough. It has a nylon construction and with a faux fur collar around the neck. The front has a classic zip-up style along with a snap at the top and bottom. It has various patches embroidered onto the chest and arms, including a “Tomcat” patch, an American flag patch, and a Top Gun patch. It also has a Maverick patch sewn on the front, so you can cosplay as your favorite hotshot pilot. 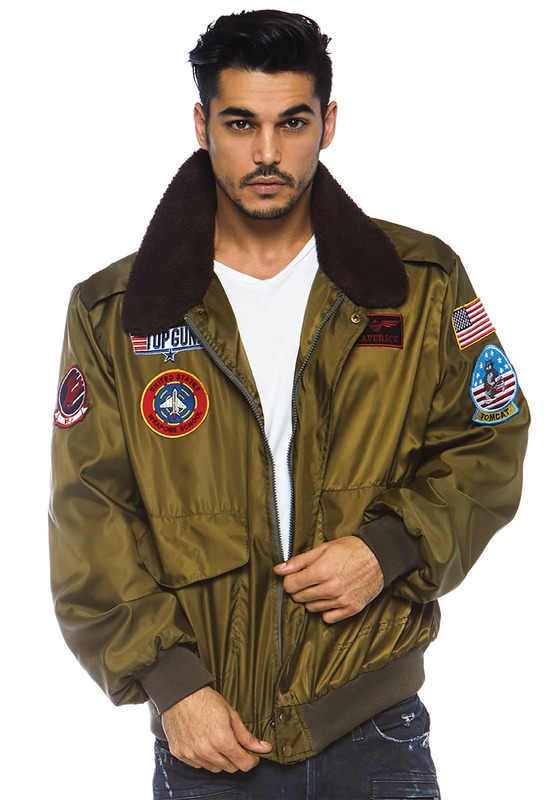 When you roll into the party wearing this licensed coat, your friends might just think that you’re the most skilled pilot in the Top Gun school. That, or they might think that you have one awesome cosplay costume! You can wear it with your favorite pair of jeans for a casual look, or wear it with one of our Top Gun jumpsuits to take the look to the next level.